Now a days, the word Einstein is treated as a synonym for genius. Time magazine named Albert Einstein as Man of the century. Take a look at few quotes by that genius.
" 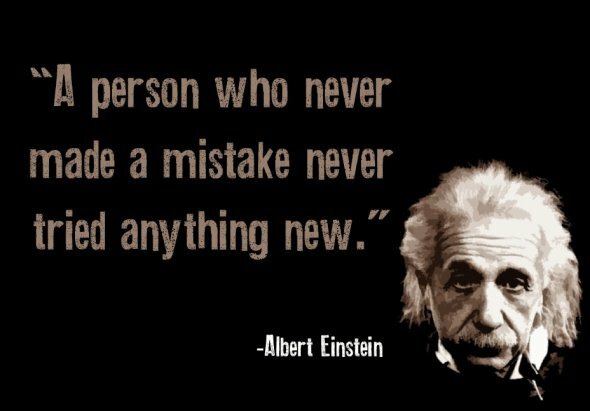 A person who never made a mistake never tried anything new. " " Life is like riding bicycle. 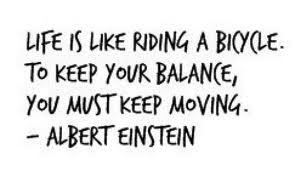 To keep your balance, you must keep moving. " 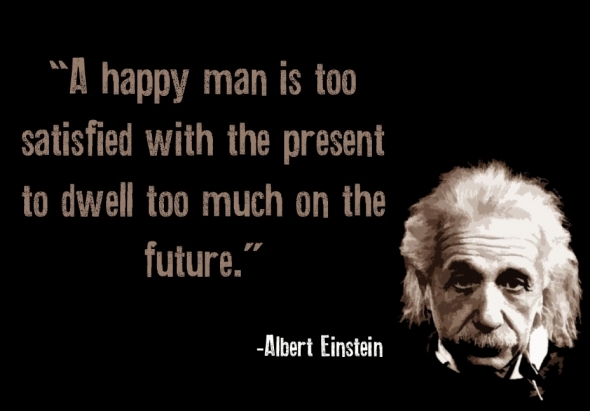 " A happy man is too satisfied with the present to dwell too much on the future. " 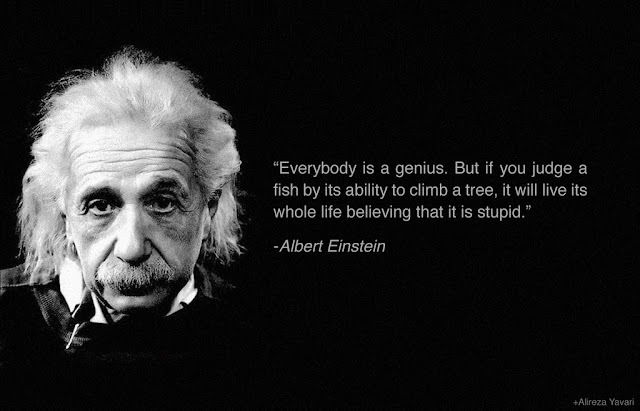 " Everybody is a genius. Bu if you judge a fish by its ability to climb a tree, it will live its whole life believing that is is stupid. " " Any fool can make things bigger, more complex, and more violent. 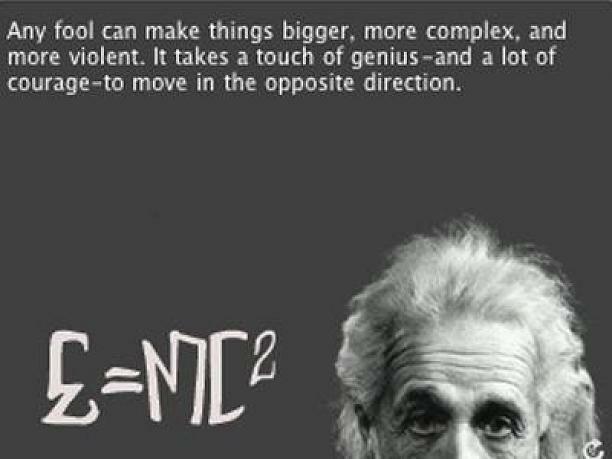 It takes a touch of genius and a lot of courage to move in the opposite direction. " 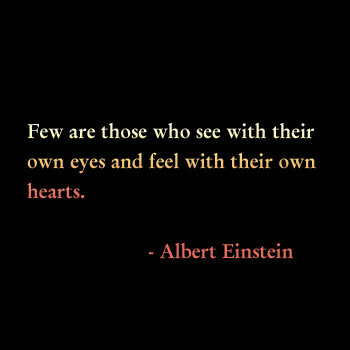 " Few are those who see with their own eyes and feel with their own hearts. " 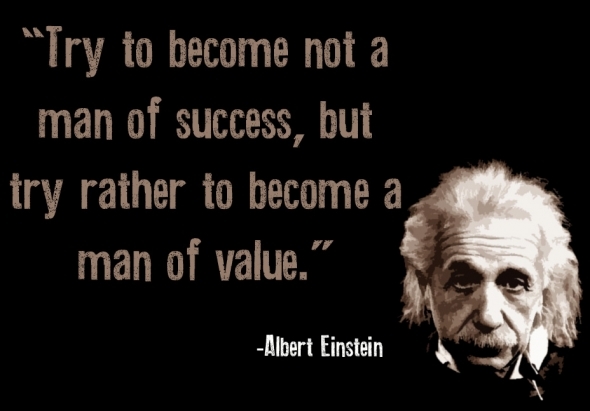 " Try to become not a man of success, but ry rather to become a man of value. " " Imagination is more important than knowledge. Knowledge is limited. 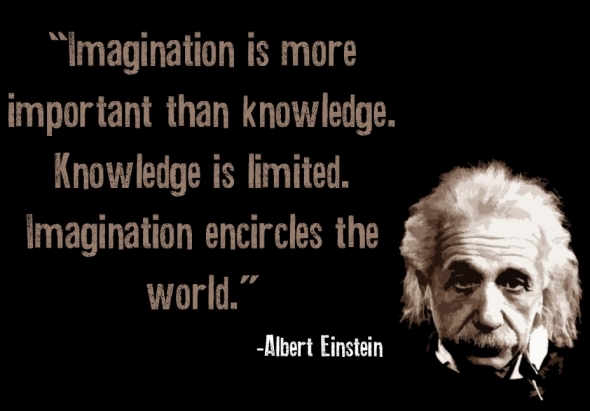 Imagination encircles the world. " " I believe that a simple and unassuming life is good for everybody, physically and mentally. " 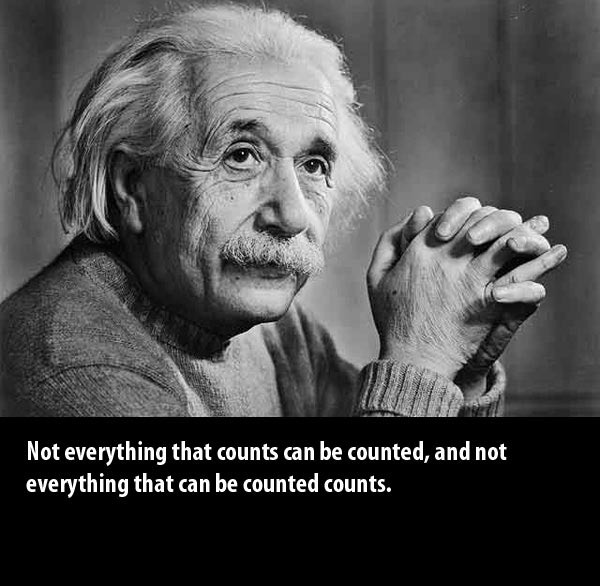 " Not everything that counts can be counted, and not everything that can be counted counts. " 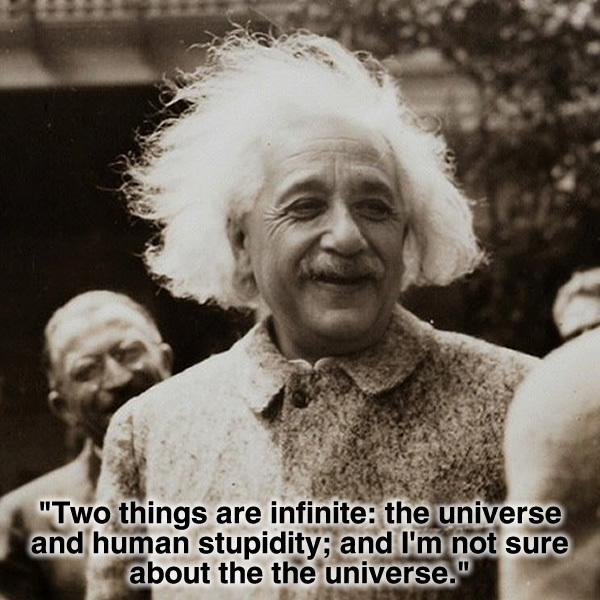 " Two things are infinite: the universe and human stupidity; and I'm not sure about the universe. " 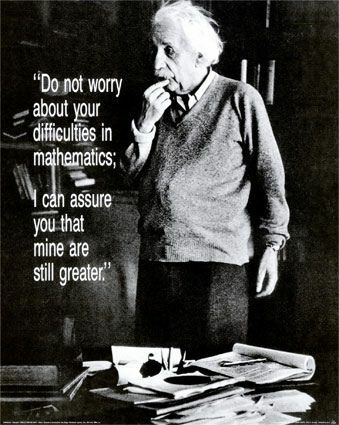 " Don't worry about your difficulties in mathematics; I can assure you that mine are still greater. " 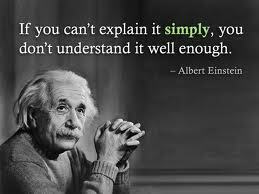 " If you can't explain it simply, you don't understand it well enough. "